This week kicks off the Blogger's Quilt Festival hosted by Amy's Creative Side. There are multiple categories and the winner of each group gets a prize from the sponsors! It is a great way to view people's finished quilts, get ideas for quilts of your own, or share your finished quilts for a chance to win! If you love my quilt, please nominate me for the Viewer's Choice award!! I purchased the pattern for this Spell It With Moda Quilt from Fat Quarter Shop. I chose the printable PDF version and used the handy quilt layout diagram as a coloring sheet to plan my design. I used crayons (my daughters LOL) that coordinated with my fabric choices and colored in the letters to ensure it had an evenly scrappy look and not too many of the same shades were placed next to one another. I chose a Modern Minis Rolie Polie (half a jelly roll) by Lori Holt for Riley Blake Designs. A few of the strips were too light to use with my cream colored background fabrics so I grabbed some various Bonnie & Camille prints from my stash to throw in as well. And the binding is SUPER scrappy! I used tons of scrap fabrics fro my stash and leftover jelly roll strips from various lines to make a double fold quilt binding. It features prints from Bonnie & Camille, Lori Holt, Alison Glass, Maron Sutton, and many more! My favorite part (although I love the entire quilt) is by far the long arm quilting that River House Quilting did on this beautiful ABC quilt! 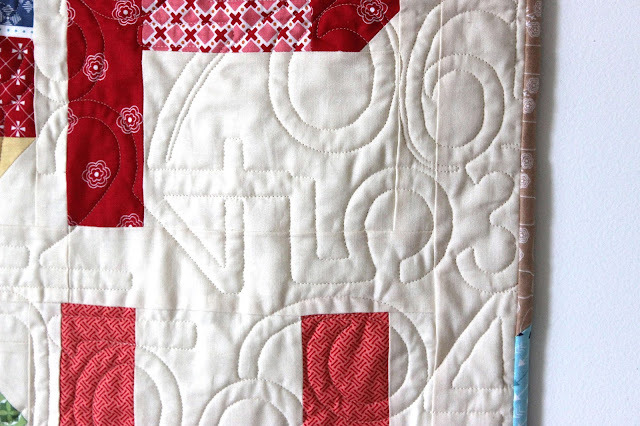 I chose a numbered long arm design called "Count Your Blessings" which features numbers 0-9 in various sizes all over the quilt. I love, love, LOVE it! Great idea for a scrappy colorful quilt. 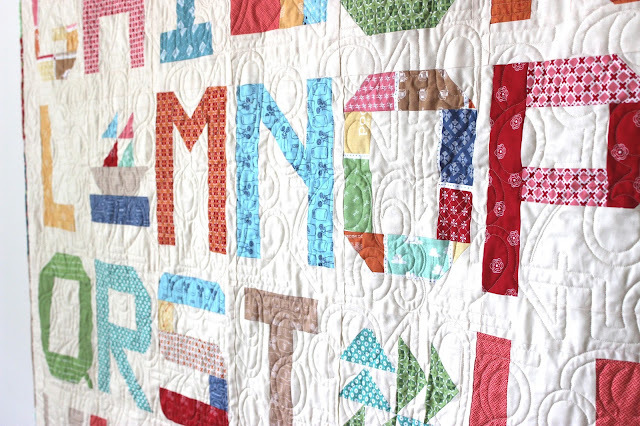 And I love that quilting design! 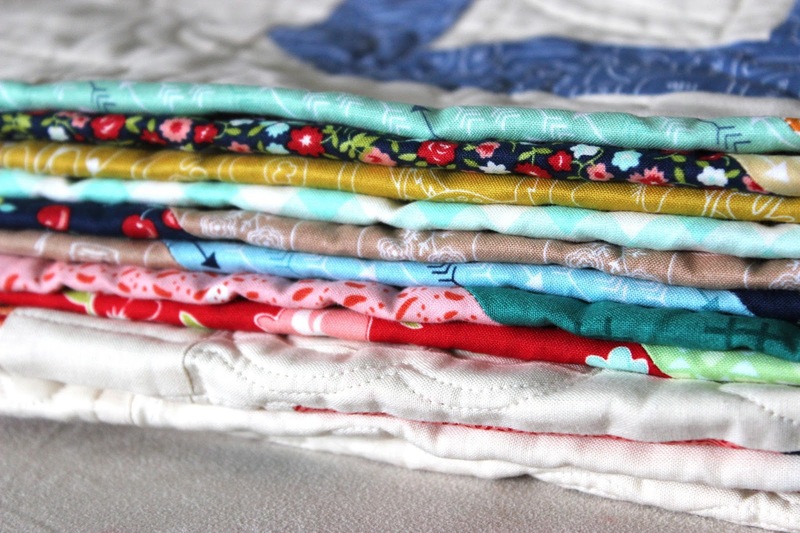 Great quilt Amista and stunning quilting! Thanks so much! :) The quilting is amazing. 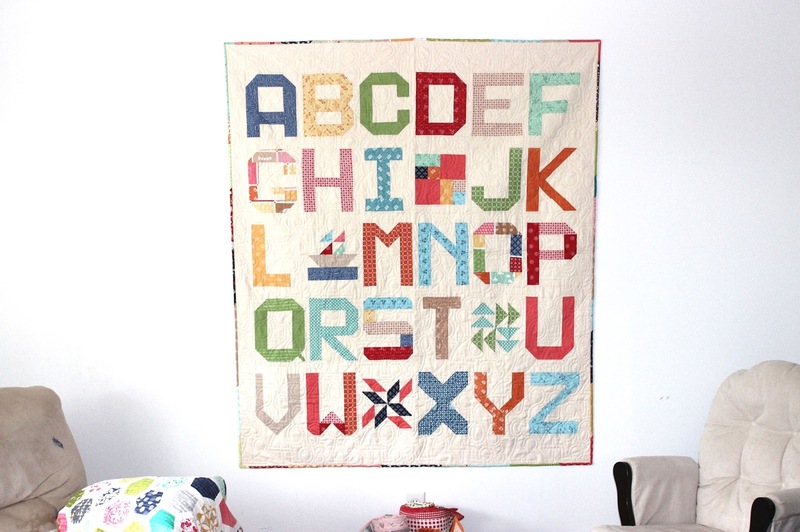 Oh wow, that is crazy cute, especially the quilting. and your choice of fabrics is perfect! Great post. I enjoyed your blog. Really your article is very resourceful. I am gained a lot of knowledge to read your article. 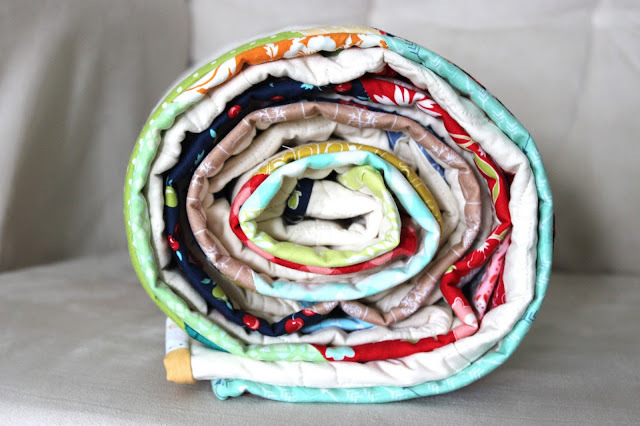 Best quilts ever.These are perfect for kids.Thanks for sharing an excellent post.